Shoney’s was one of the first family casual dining concepts in the United States. Its roots trace back to 1947, when Alex Shoney Schoenbaum opened the Parkette Drive-In next to his fathers bowling alley in Charleston, W.Va. Today, Nashville-based Shoneys is a favorite family casual dining destination, with approximately 200 restaurants in 17 states across the South and Southeast, reaching everyone from growing young families to retirees. The Shoney’s Homecoming coupon for a 65-cent Barqs root beer float is Shoney’s way of saying thank you to longtime patrons while welcoming a new generation to enjoy the Shoney’s experience. The Coca-Cola bell soda glass has been part of the heritage of The Coca-Cola Company since 1929. Like the famous contour bottle for Coca-Cola, the Bell Soda Glass was destined to become forever associated with Coca-Cola worldwide. Still used at many soda fountains, these glasses are visible proof of the timeless popularity of the worlds most-valuable brand. My favorite root beer float recipe is to use chocolate (Mmmmm!) ice cream & place 2-3 scoops in a glass cup/mug. Then slowly pour root beer over the ice cream. Stir it up a bit & enjoy! Traditionally, vanilla ice cream is used, and you can get a vanilla root beer float at any participating Shoney’s restaurant. See details below for a special offer. Beginning Nov. 1 and continuing daily until November 30, 2012, participating Shoney’s restaurants will be distributing 65th anniversary Shoney’s Homecoming coupons to every dine-in breakfast guest. Customers can use the coupon with their next dine-in lunch or dinner purchase of $5.00 or more. Happy Birthday Shoney’s!My hubby and I have loved the Slim Jim and Strawberry Pie(to die for) for many,many years. My Grandmother had glasses like this, thanks for the chance to win. My parents have a Shoney’s close to their lake house – thanks for the reminder! 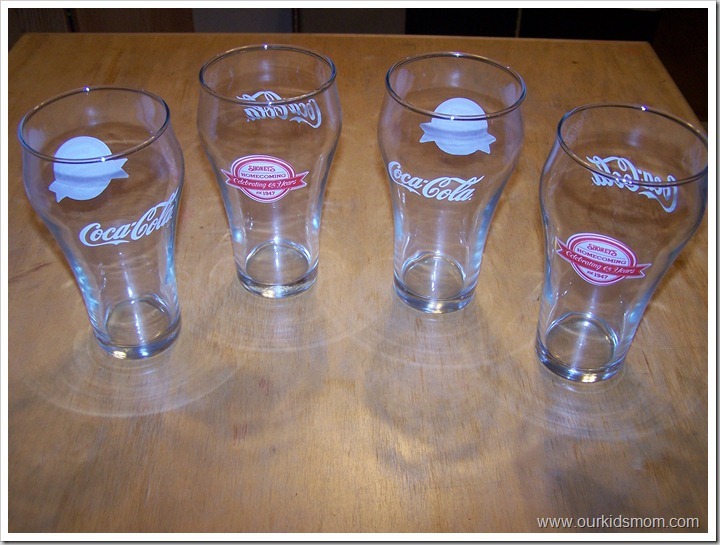 These are super cute and would be great for coke floats! Would love to win these glasses- they are awesome! I would just love a set of these adorable glasses. Thanks for sharing. Happy Birthday Shoney’s! I haven’t been to a Shoney’s in years! Happy 65th Birthday to Shoney’s !!! Forgive me if this post multiple time. It keeps going to a blank screen after hitting enter & not showing my post was entered. Happy Birthday guys and gals!!! Happy Birthday Shoney’s! We are the same age. The Bacon and Blue Burger!!! HAPPY BIRTHDAY! HOPE ITS A GREAT ONE!!! i want the seafood feast! Happy 65th Birthday Shoney’s! I have a lot of fond memories at your restaurant! Happy 65th birthday, Shoney’s! I wish I could have a hot fudge cake to celebrate with you but my local Shoney’s closed. They offer a 15% discount for college students. They still have their fresh Strawberry Pie. Happy 25th Birthday Shoney’s!!!!! I love their breakfast. As I said in my first comment I love their breakfast/buffet. Happy 65th Birthday Shoney’s and thak you for the giveaway!! Happy 25th Birthday Shoneys! Wishing you many more! Or was it supposed to be 65th! Wishing Shoney’s a happy 25th Birthday! HAPPY 25th BIRTHDAY SHONEYS! Heres to many more years ahead! Thanks!